The Bill & Ted sequel that’s been loitering around the Circle K for nearly three decades just got another boost. 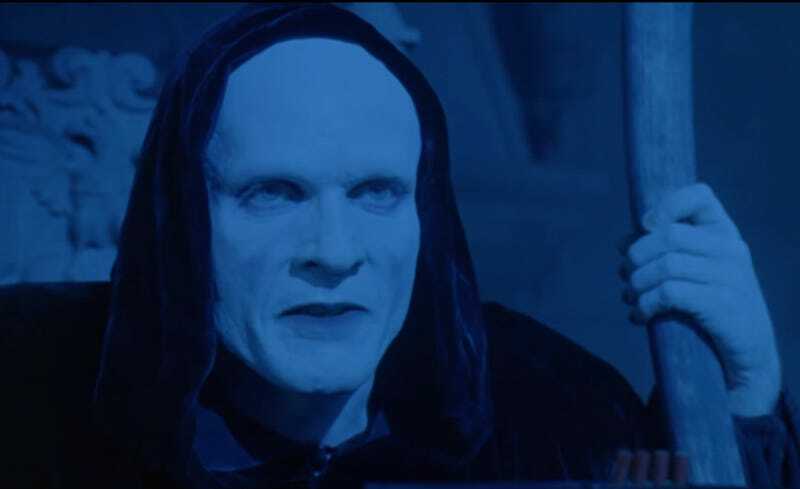 William Sadler, who played Death in the first sequel Bill & Ted’s Bogus Journey, has heard franchise creator Ed Solomon’s call to (bony) arms. Solomon recently talked up his ideas for the third film, currently titled Bill & Ted Face The Music, which will see middle-aged versions of Keanu Reeves and Alex Winter’s characters. The grown-up, presumably-still-Wyld Stallyns will encounter their younger selves at some point, as well as the daughter of their old pal Rufus (the late George Carlin). That definitely sounds like one of the more agreeable midlife-crisis plots we’ve come across, though it’s unclear how Death will find his way into the story. When we last saw him, Death was a hugely successful musician, along with the original members of the Wyld Stallyns. Solomon didn’t give anything away, though he did note that he and Chris Matheson “laughed a lot” while writing the character into the story.